As part of the Schoolhouse Review Crew, I received the Paperless Home Organization ebook from Simplified Pantry to review. Paperless Home Organization is a how to guide that walks you through creating a digital homemaking binder. Once you have your homemaking binder in place, you can go paperless! I don’t know about you, but after 31 years of marriage, 6 kids, and 22 years of homeschooling (and still counting! ), I’m ready to get rid of some paper! The author, Mystie Winckler, tells you which programs she uses and takes you step by step through signing up, setting up, and filling up your binder. She uses Google Mail, Google Calendar, Evernote and Remember the Milk to organize everything. I was already using Google Mail and Calendar, but she had several tips that I hadn’t heard of before that enable me to make better use of them. The bulk of the book is about setting up and using Evernote and Remember the Milk. Remember the Milk is where you keep your current to do lists. 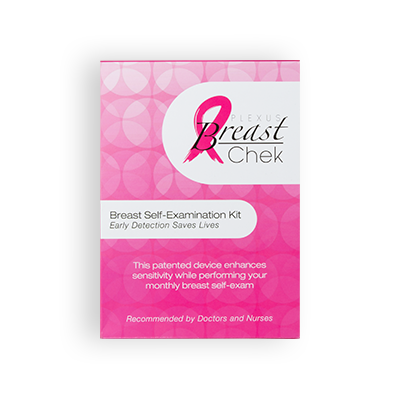 These can be sorted out, and assigned due dates, or marked not due so it is always on your list. I love that I can have my list on my Gmail page, or on my calendar, over on the right had side, so I can see it no matter what I’m doing. As we all know, a to do list that is seen is more likely to get done. I also have Remember the Milk on my Kindle, so can carry my to do list with me where ever I go. Remember the Milk can also be accessed online, or on your phone. I love that I can set it up to work for me. Since I hadn’t used Remember the Milk before, the authors tutorial was a great help. Your digital home binder will mostly be stored on Evernote. I had never heard of Evernote before, so I took full advantage of the authors how to’s in this ebook to help me. She not only tells you what to do, she shows you with many screenshots. Seeing what everything should look like, made it so much easier for to to set it up. You can tell that the author has been using this program, and knows what she’s talking about. It would have taken me a very long time to figure out some of the steps that she included in the ebook. Instead of having to figure it all out by myself, I quickly and easily followed her directions and had my binder up and running. One of the things that the author mentioned was that you could get an Evernote Web Clipper extension for Chrome. Now when I’m online, and I see something I want to save, I can save it right to my notebook. All those great tips and recipes that come across my Facebook feed can be clipped and put into the correct notebook while I’m on Facebook. I don’t have to go open the Evernote program to copy and paste. I was also able to add the Evernote App to my Kindle. So I have access to my digital binder whenever I need it. Here is a screenshot from my Evernote. You can see on the left, I’m working on my notebooks. I have my Recipe Notebook open, so the middle column shows those notes. And on the right, was the last note I had opened, a recipe I’m planning on making shortly. You can read a sample of Paperless Home Organization. Since I have many, many years to catch up on, this is going to take awhile. But I’m motivated, and this system is easy. Thanks to Paperless Home Organization I think I can go paperless! I also received Simplified Dinners and Simplified Dinners Gluten Free/Dairy Free ebooks. I read through the Simplified Dinners Gluten Free/Dairy Free ebook. If your just starting out cooking gluten free or dairy free, you’ll find lots of great recipes to get you started. I was a little disappointed that there wasn’t more recipes for baked goods. Overall, though, this is a great recipe ebook. I found a few recipes I want to try. 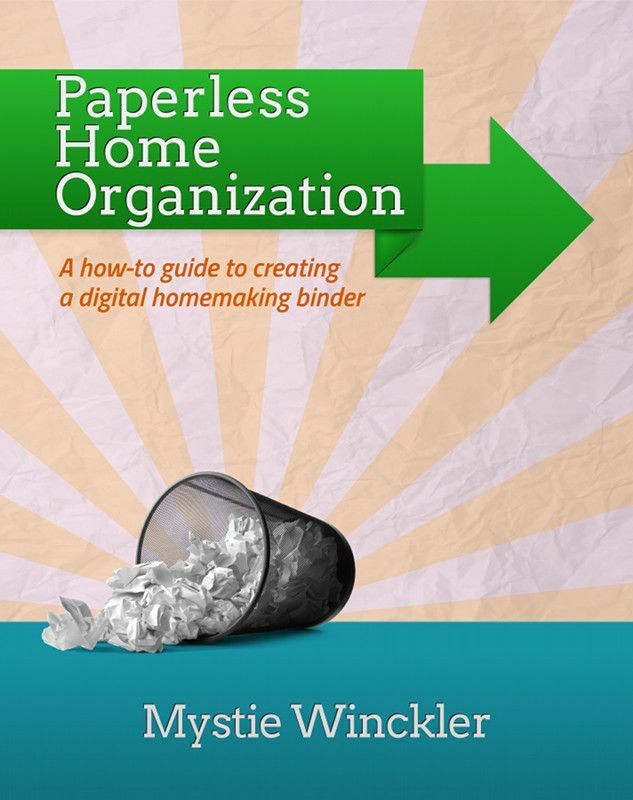 The Paperless Home Organization ebook sells for $3.99. A must at that price! The Simplified Dinners and Simplified Dinners Gluten Free/Dairy Free sell for $12.99 each. Here is a TOS Review Crew exclusive discount: when you enter TOS2013 at checkout, you will receive 30% off! That discount will work on any or all three of the eBooks through June 3rd. I think I’ll need to do a recipe notebook in Evernote now! I’ve mostly been pinning online recipes I find that look good. I’ve been pinning most recipes, too. The ones that I’ve been putting in Evernote are the ones that come through Facebook without a link. 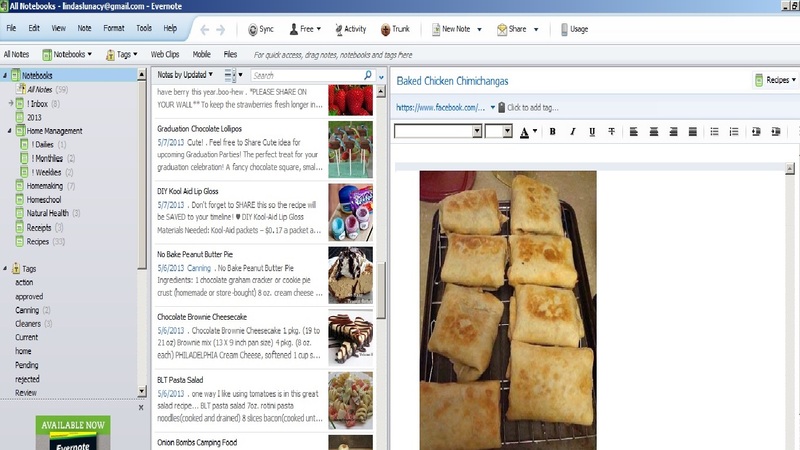 I’m also looking forward to scanning all my paper recipes and adding them to Evernote.